At the request of some of our customers, we have expanded our range of 4×4 RoRo tractors. The main adjustment is a version with an elevated cabin position. 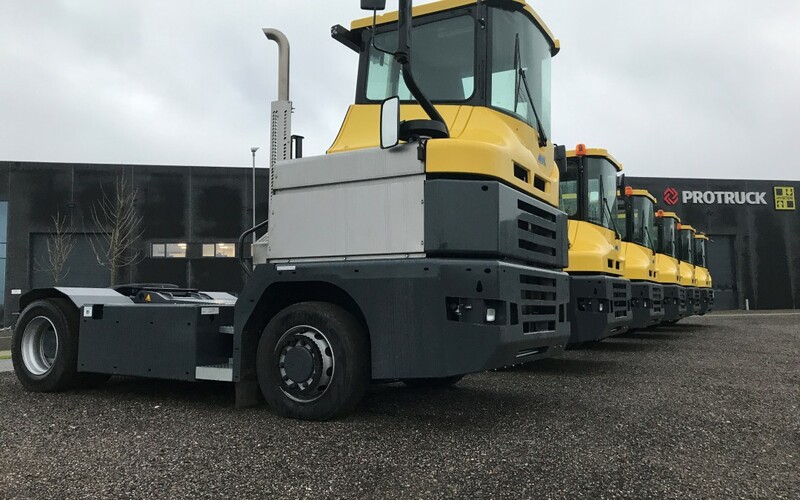 Of these, there are currently 6 vehicles in production for various customers that will be delivered through our agent in Denmark. Since 2015, we have been working with ProTruck in Denmark. Many different 4×2 terminal tractors and 4×4 RoRo tractors have already been supplied with specific customer specifications. MOL tractors are always made to measure for the customer if desired. Please feel free to contact our sales department (mvandenberghe@molcy.com).